Mixed media! I LOVE MIXED MEDIA! 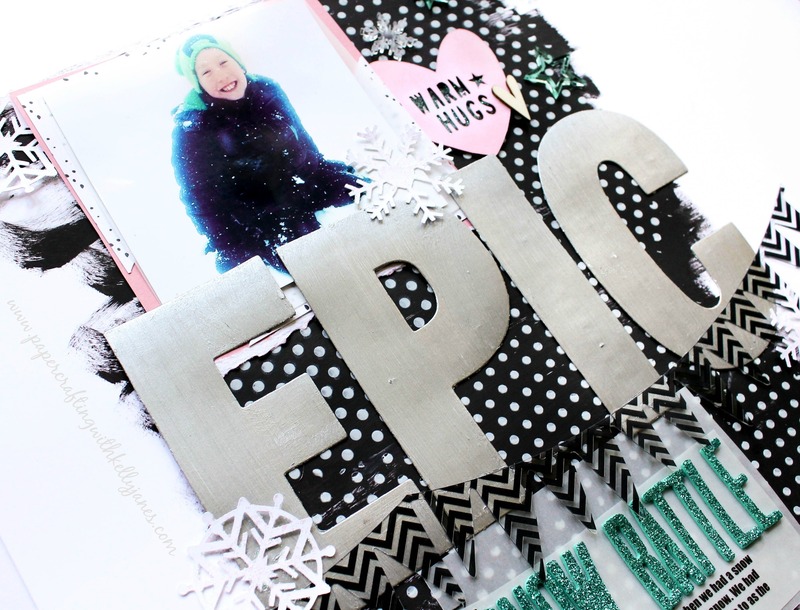 So much so that I try to incorporate a little on each layout, but my project today is full blown mixed media! 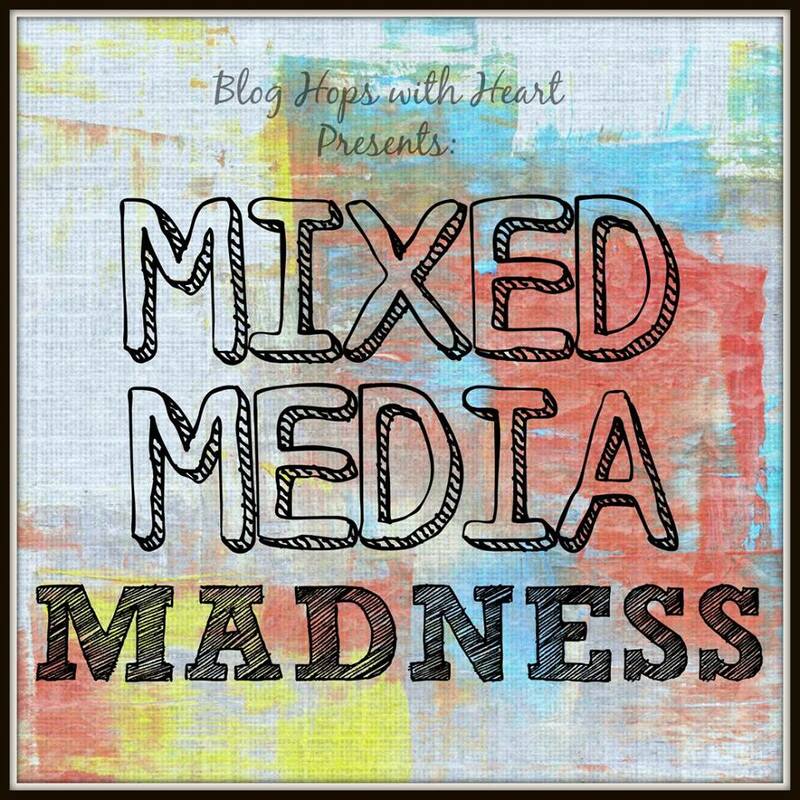 I hope you’re as excited about our Mixed Media Blog Hop as I am and if you started at the beginning you would have come from Amie Kiger’s blog, but if you’ve started here that is perfect too! Our hop is a circle so even if you’ve started here, you’ll still make it around the entire circle by clicking the link on the bottom of my post. Now let’s jump straight into my layout! I started with a White Daisy Cardstock base and added a messy layer of black acrylic paint. Once the paint was dry I grabbed a Heidi Swapp polka dot stencil and modeling paste to create the textured pattern. I then added my photo cluster that consists of vellum, Blush Cardstock, and a Hip Kit Club Project Life card. Once I had my photo cluster arranged I moved onto my title. The large letters were originally a wood grain color and didn’t really fit my theme so I grabbed my metallic silver acrylic paint and added multiple layers until I had the coverage I was looking for. The continuation of my title consists of teal, glittery Thickers. I had originally thought I would just put them directly onto the black paint, but they seemed to get a little lost so I added a layer of vellum that also has my journaling. 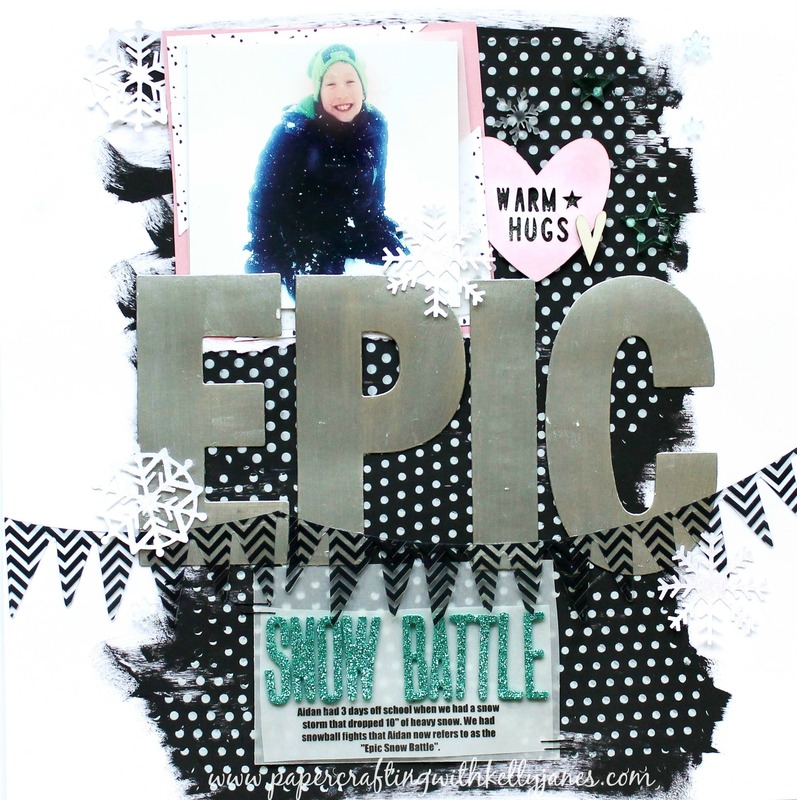 To give a little buffer between the vellum layer and the “EPIC” title, I added a Heidi Swapp acetate banner. For final touches I cut a few snowflakes & the heart from the Winter Weather Cut File from The Cut Shoppe (I’m also linking this layout to The Cut Shoppe ‘Cut It Out’ March Challenge). 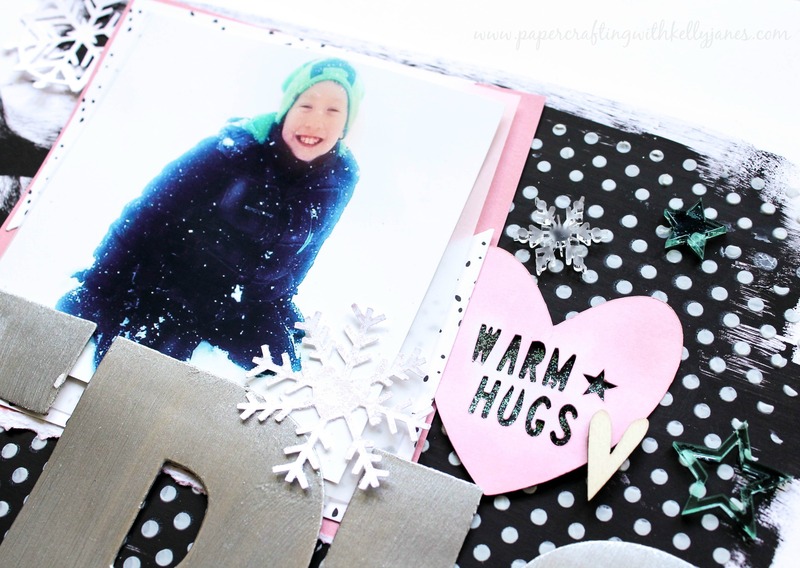 I used Distress Ink to color the heart and smushed Clear Glitz (similar to Stickles) onto the snowflakes & under the Warm Hugs cut file to help them shimmer and shine! The acrylic shapes that are scattered about are from a previous kit from the Hip Kit Club. I also added a cute wood veneer heart from Studio Calico. This is the first layout that I’ve ever created that consists of typed journaling versus handwritten. I’m a big fan of the handwritten journaling because (let’s be honest) I would much rather see the actual handwriting of my great-great grandma than to see a printed out version of her thoughts. It’s my hope that my scrapbooks will be passed through the generations and that my great-great-great grandchildren will be reading about our lives. But after saying all of that… I couldn’t find a good place to house my handwritten journaling. The only place to add it would have been on the sides of the black paint and I knew it would have thrown off the balance to my centrally located vertical design. I could have handwritten it on the vellum but I loved the clean look of the typed text on this very messy layout! Well that concludes my entry for our blog hop! It’s now time to head to Becca Whitham and I have NO DOUBT that her artwork will be nothing short of amazing! So head there now to see what she has created! As our Mixed Media champion, you lived up to your name with this. I thought your black & white polka dots were background paper until I read your post. I bet that looks amazing in real life. Thanks for inspiring me to step into this world. I may never recover…and I’m 100% okay with that! !